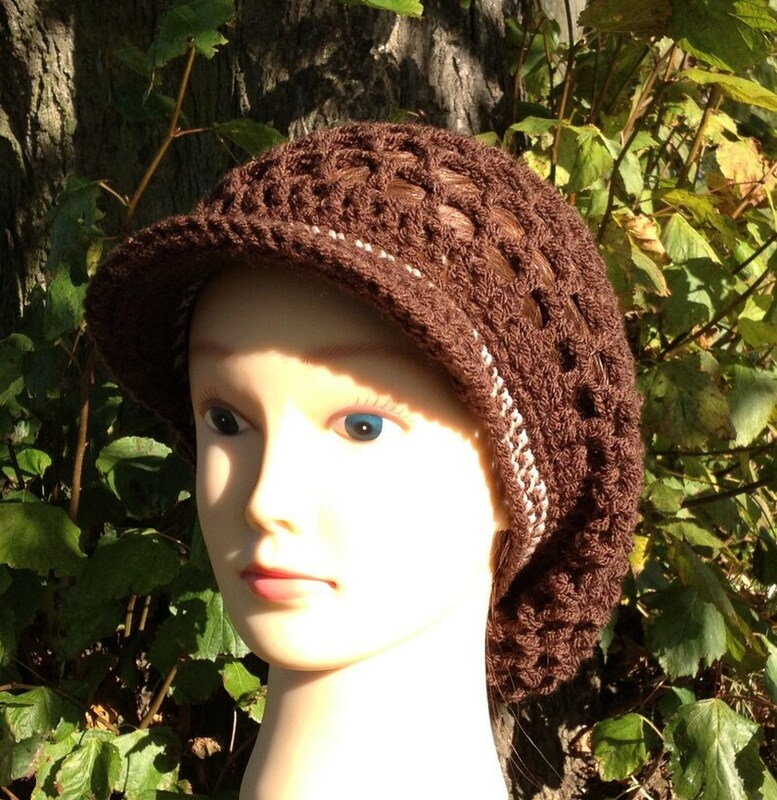 This Mesh Visor Slouchy Tam was crocheted using brown and cream acrylic yarn. Features a visor with a plastic insert to help keep its shape. Circumference of hat is 20-22 inches and will fit most adults. Hat is 12 inches from crown to rim edge and is suitable for shoulder length hair or longer. Gentle handwash and lay flat to dry for best results and longer life.